She was a lovely, unique looking dog. Sounds like the two of you were a good fit for each other. Lasya is so beautiful! Her stance/build makes me think of a Karelian bear dog. Thanks for sharing! I had to go look them up - you are an even bigger dog breed geek than me! I do see the resemblance! I think I had seen them before but probably assumed it was a b&w Akita. 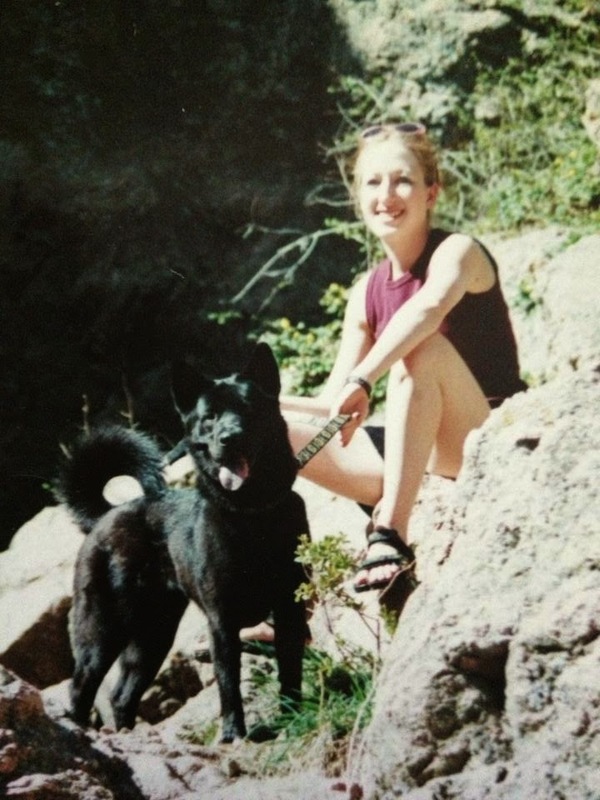 People did often ask me if Lasya was an Akita, even though she wasn't nearly big enough. She was beautiful and it sounds like the two of you had some great times together. She may have been exactly what you needed at the time! This was a pretty tame trail, just outside of town. I do love walking in sandals but it's usually not safe or practical "off-roading." I own a real pair of hiking boots now. What a great hiking photo!!! What a beautiful girl. Sounds like she came into your life just when you needed her most. BTW, you're not the only one who likes hiking in sandals. Keens are a good choice since they protect your toes and are still light and open. such a great story and photo! Aww, what a good dog. I adopted my dog Ace shortly after college, and he definitely helped keep me grounded. He still does. I think we just find a way to make it work. Life is hard without a dog!